Judy Batterson, a native Floridian, graduated from the University of Florida in Fine Arts and began her career as an art teacher in Florida schools. During those years, she refined her expertise by working with oil, capturing the natural beauty of Florida in her landscapes. She has a passion for everything that is indigenous to this land "where pine and palm are blowing, where southern seas are flowing". To be in a symbiotic relationship with this environment is to have a desire to preserve it. And, as an artist, there is the desire to preserve it and paint it! Her paintings are in Best of America Oil Artists Volume ll and have been purchased by collectors from Florida to Wisconsin. Rick Bossermen, art collector, says, "As serious collectors of Florida Art, my wife and I were delighted to discover the work of Judy Batterson. 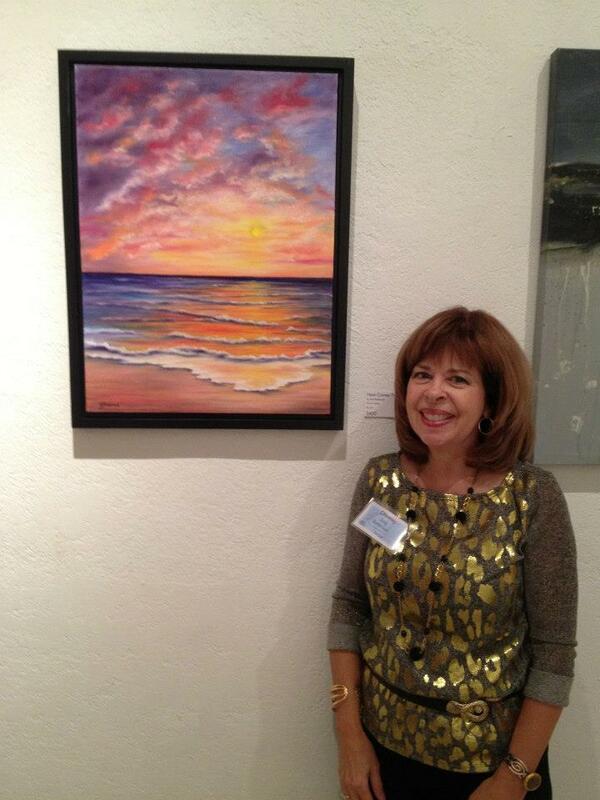 Judy captures the feel and pull of the FL landscape and evokes memories of "Old FL". Her work speaks of the Highwaymen and Backus, but she has a depth in her painting that brings life and vitality to her work. We feel that Judy's art is so good that we purchased one of her beachscapes to be the centerpiece of our entire Florida art collection". Use of my painting image "Lost"
Baldwin Park Magazine 2012 Cover and feature on my art and art teaching. "Art in October" Event 2008. Cover artist and featured artist interview.